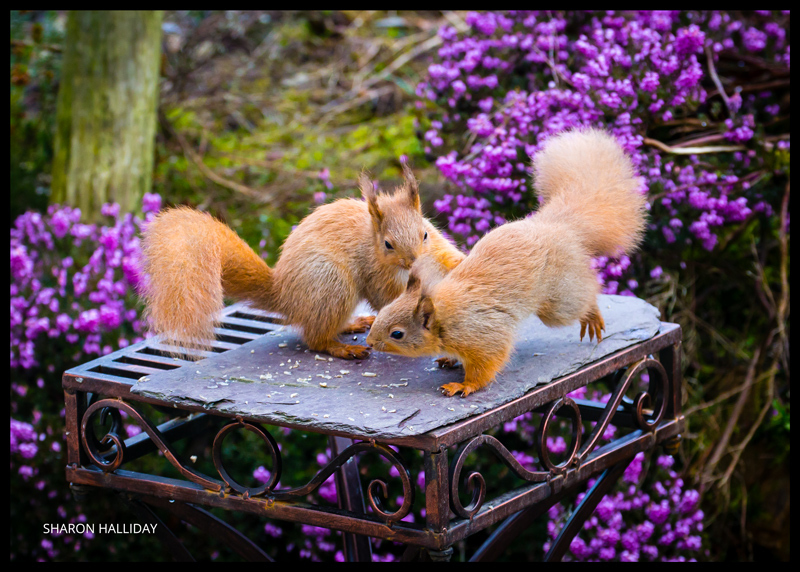 A wee squirrel squabble in the Hidden Galloway garden. 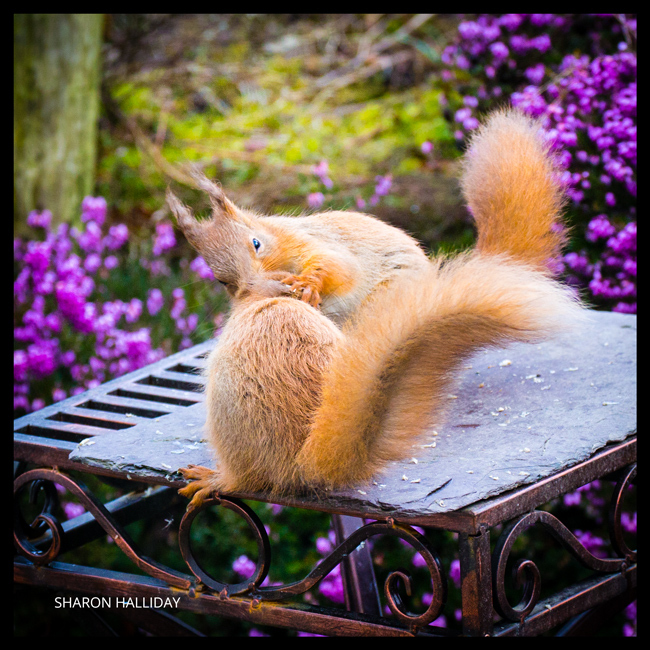 It has been a real treat having the baby red squirrel twins go through their toddler phase in my garden!They get into everything, and onto everything. At least they try to, they are still prone to misjudging what a little one can and can’t manage. 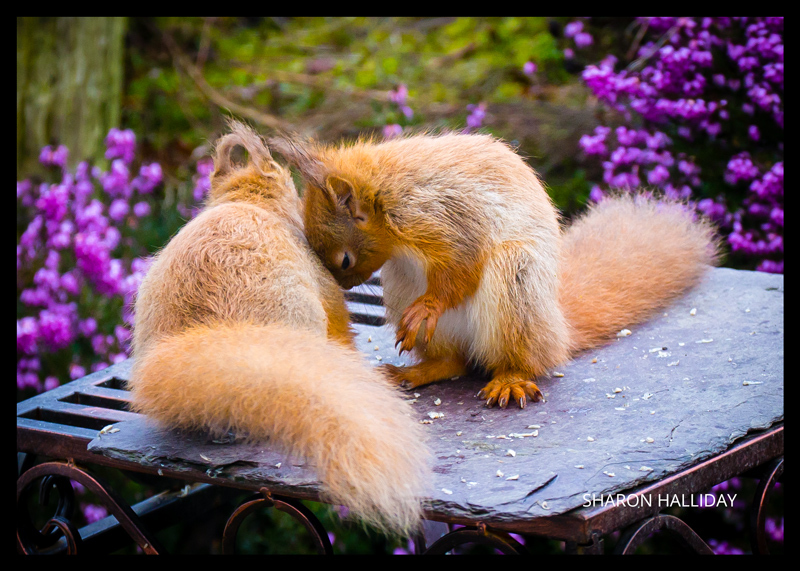 Today, they were practicing scrapping, because squirrels are feisty little things and they like to have a wee bit of a fight with their dinner. It wasn’t much of a fight, just a wee chase around the table, and a slap at each other with their tiny paws, before they resumed running around, jumping on things. I am unsurprisingly building up a bit of a collection of images of these little character; if you leave your email address at the “Get Updates By Email” box in the sidebar, you’ll get an update by email when I add anything new to my blog. In the longer term there will be more blog and less Facebook as I aim to keep my archive of images on my website rather than a social media platform. !